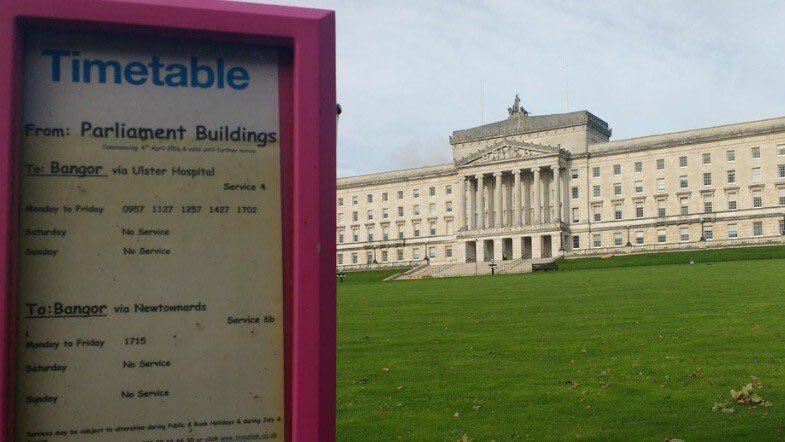 They got a new talks timetable on the political hill today – pointing to the latest of the many Brokenshire deadlines. It means the pretend Parliament now has a little more time to get real; the weeks beginning October 30 (for legislation) and November 6 (for a new Executive) the new and latest timetable dates. Will it make any difference in a talks process that at times gives the impression of not knowing its arse from its elbow? In recent days, this negotiation has been talked up and down. How last week can a deal have been so close, only to be as far away in the latest assessments given in Dublin and London? The reading and misreading of different tea leaves in different cups has been the story of the past few days. Signals being sent by the governments – the kite flying – did not fit with the little being said by the DUP and Sinn Fein. Going into last weekend, neither of those parties was suggesting that a deal was imminent. Then today (Wednesday) came the suggestion that Michelle O’Neill was ready to do a deal but was overruled. At Stormont and in the Dail this was dismissed by both the party’s Northern leader Ms O’Neill and Sinn Fein President Gerry Adams. “I have no deal or recommendation to put to an Ard Comhairle,” Ms O’Neill said. Nothing has been said by republicans in recent weeks to suggest a deal on the key issues that are at the heart of these talks. On one of those issues – Irish language – it was made clear on Wednesday that “nothing short of that [a stand-alone Act]” will break the deadlock in these negotiations. Talks are continuing on how to address the issue of marriage equality and on other matters including legacy. That same source also raised concerns about the credibility of these talks – now stretching beyond nine months without agreement and with no functioning Executive. “Credibility seeps from the process the longer it goes on,” he said. 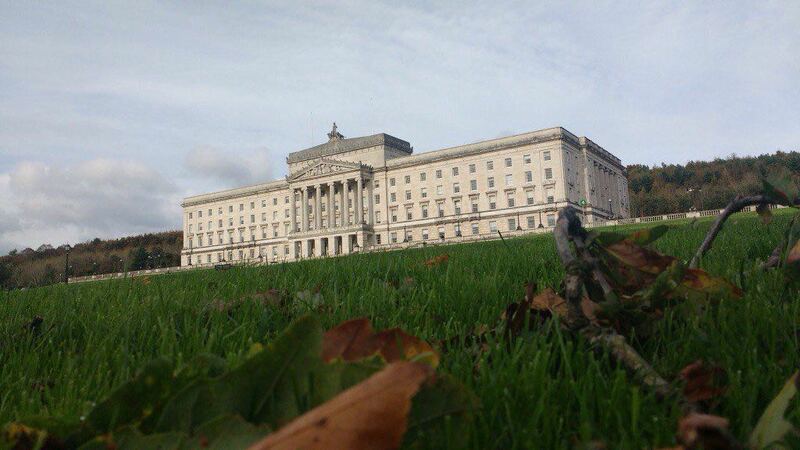 Sinn Fein has said there will be no return to the status quo; this the position repeatedly stated since the resignation of the late Martin McGuinness as deputy first minister back in January. For how much longer can these seemingly endless talks continue before being called the status quo? Talking, if all it is doing is propping up the pretend politics on the hill, leaves this process and project open to ridicule. If not deal time – it is decision time. 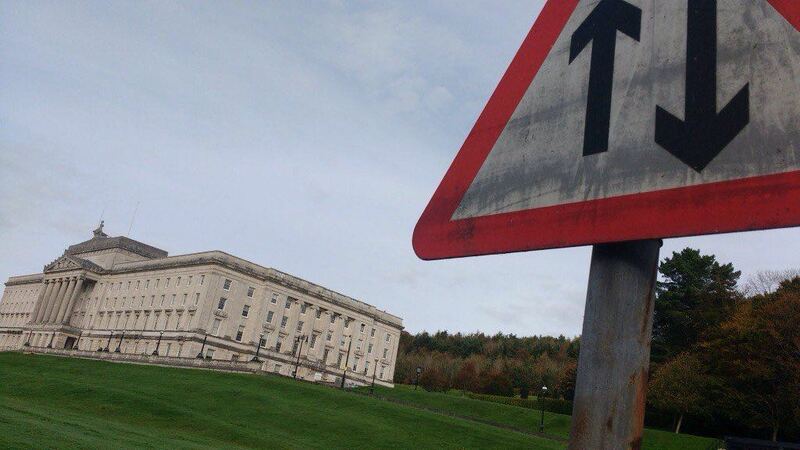 Will Stormont stand or fall? As Christmas approaches, this pantomime has become a farce. We hear a deal can be done quickly if there is the political will. That thought has become a broken record. 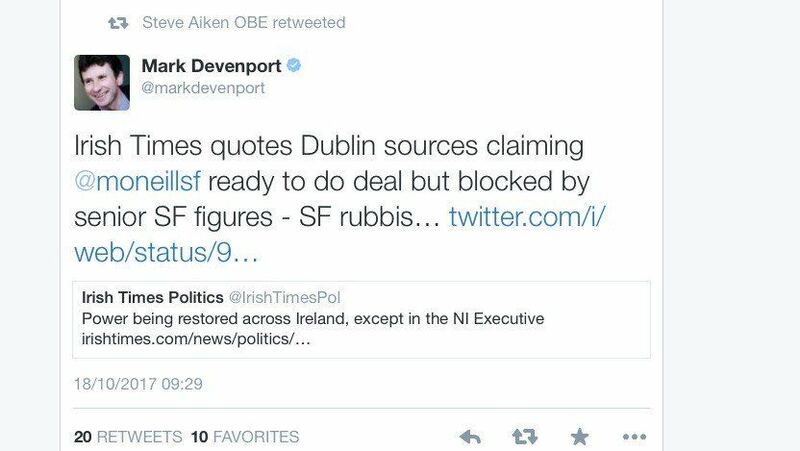 The needle stuck in the Stormont player. If no deal within this latest timetable, then they should call it a day. October 18, 2017 in News & Current Affairs. Gerry Adams wants to see an Ireland governed from Dublin and an end to British rule in his lifetime. That is his end game. Does anybody realise that the island of Ireland has never been united on anything ever, and it has always been at war with itself? Brokenshire is part of a government that takes responsibility for nothing, that is why he keep throwing out deadlines like fishing lines. They are all incapable and impotent. Scotland has a language act, Wales has a language act, N Ireland should get the same..”island of Ireland has never been united on anything ever”. Ever? I’m sure there was a time when a form of Gaeilge was about the only language you could use on the island. Looks like it is getting very close to the time for triggering Article 11 of the St Andrews Agreement and for the Governments to be quizzed on what the unpublished Arrangements Between the Two Governments are. These were agreed ahead of the May 2003 IRA statements and were to be unveiled in the case of default on St Andrews by any of the parties. Time for some clarity.